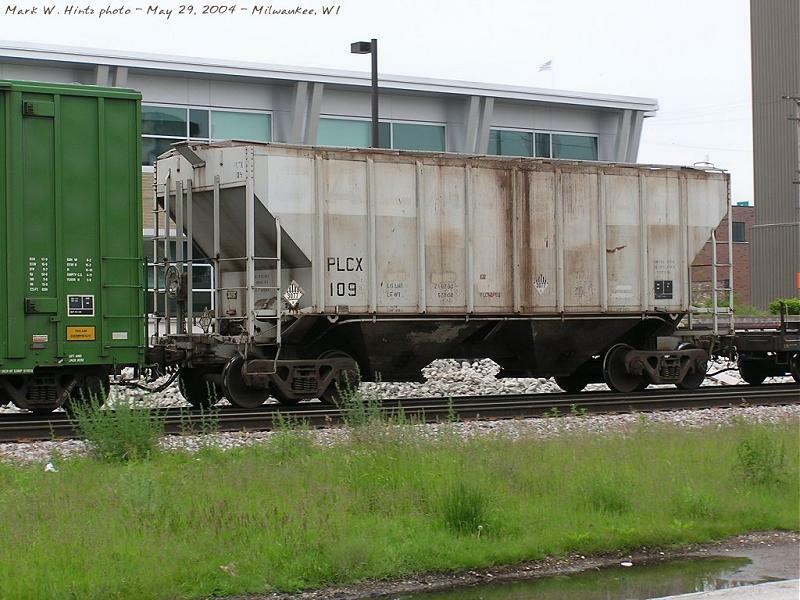 The PLCX 109 covered hopper ... is one of 4 cars in dedicated service to the North Star Steel Mill in St. Paul, MN. They come up empty and then return to Chicago. I've still not been able to identify the commodity though. All 4 cars are ex-Calavasas cement cars, the 109 and 120 are the only 2 you can tell that are repainted. 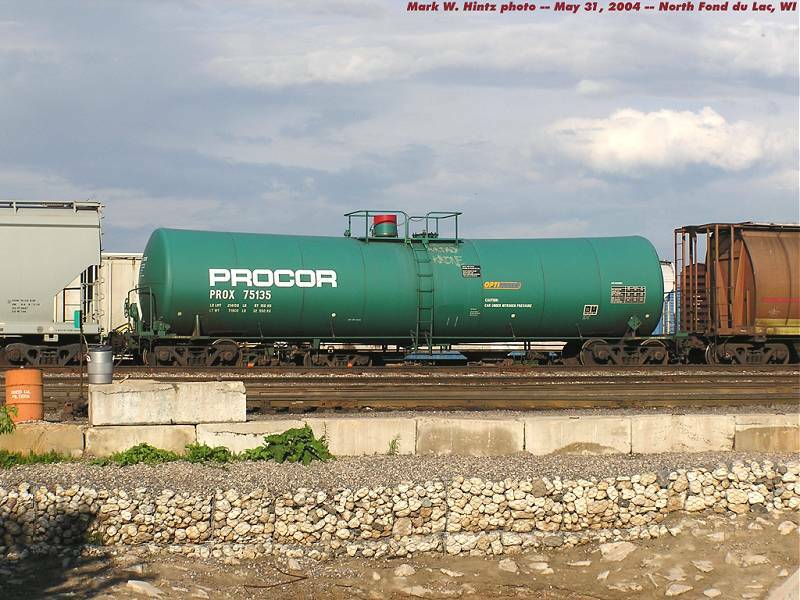 The other two, 114 and 107, were complete repaints when PLCX reclaimed them from the lease to Calavasas.